We built this car using a Todd Goodwin build all aluminum Shelby 427 and TKO 600. It made 640HP with a mild cam and it would put around like a perfect street car. The Kirkham billet clutch setup was incredibly easy to drive and the car was very easy to drive on the street. Tip into it, and it would rip your head off. We set it up to make the standard and comp style windshield easily swappable. 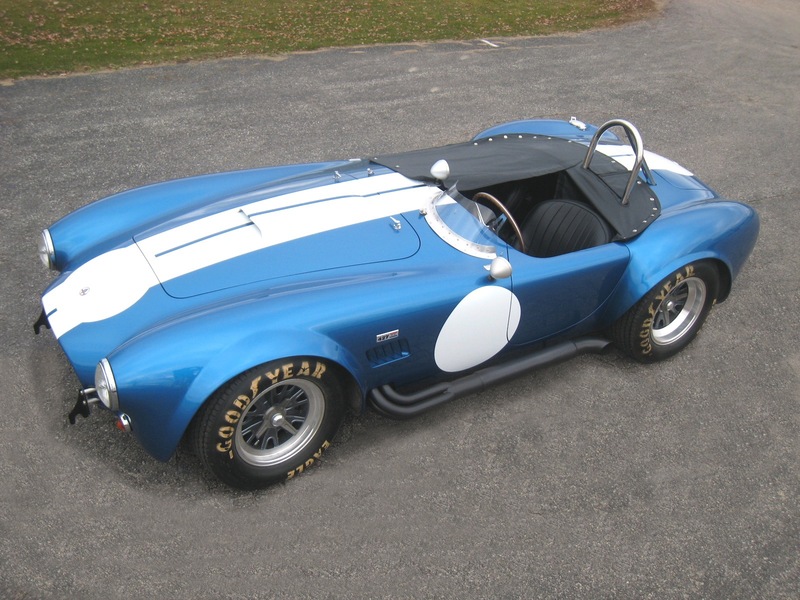 The car set a record for a fiberglass bodied Cobra at Barrett Jackson.